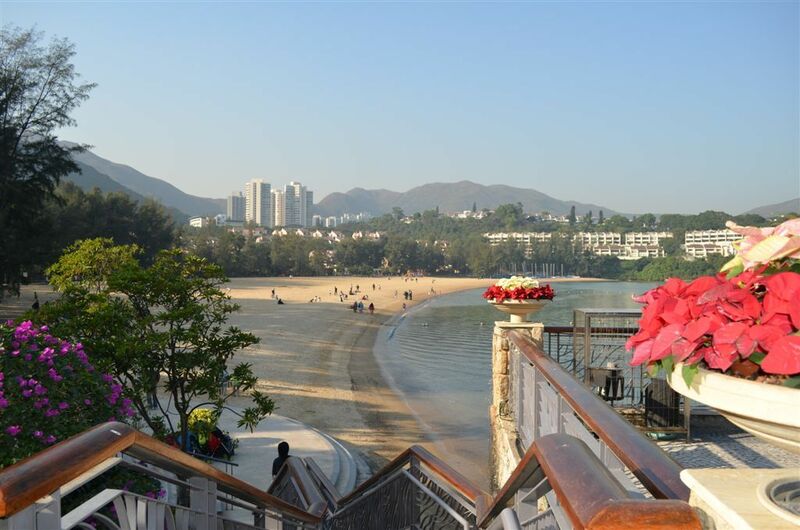 Leaving Lantau Island we head to Hong Kong island and the gated community of Discovery Bay. This mainly ex-pat community are heavily reliant on public transport with private on allowed with a permit but golf buggies are fully allowable. A range of apartment accommodation is available with families enjoying the facilities of this community including school, tennis courts, convenience stores and a fantastic restaurant hub on the edge of the bay complete with beach and parklands. A wide array of food styles are on offer and it is a great place to escape the hustle and bustle of Hong Kong and enjoy a quieter lifestyle or just a relaxing meal and a drink. All this and only a short ferry ride to Hong Kong. Arriving at Central you find yourself in the hub of the city surrounded by traffic, bumper to bumper and skyscrapers. Being Christmas a large number of these high rises were decorated with Christmas lights and their animated themes were breathtaking. 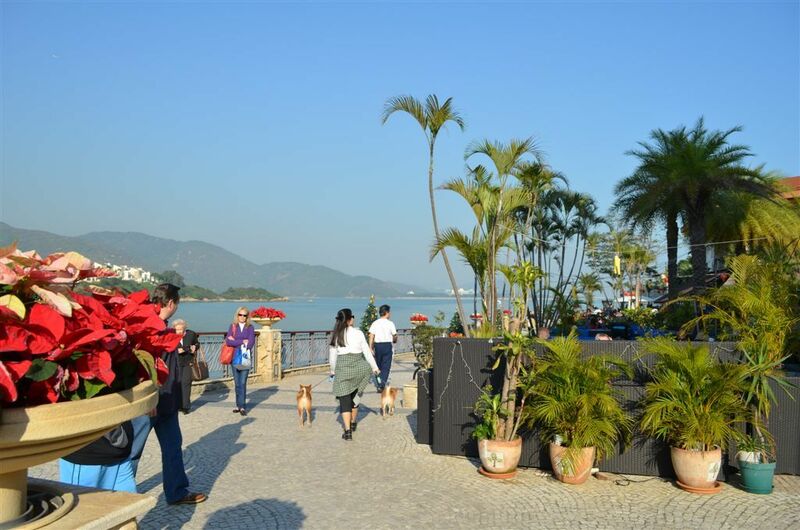 Discovery Bay – Hong Kong – This is a wonderful place to relax over a glass of wine and good food. You can see why the locals love to live here.